Size: 9.6 x 7.0 mm. 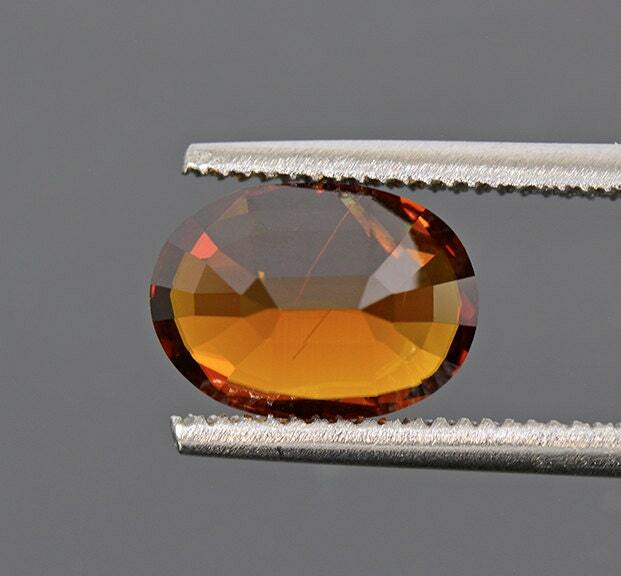 This is a nice rare stone for its color, clarity and nice size. 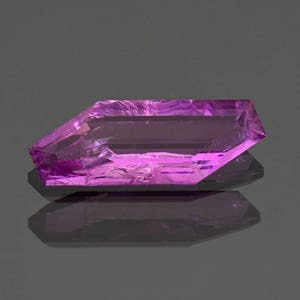 Bastnasite is a unique gemstone for several reasons; one being that it contains Cerium, the most abundant rare Earth element. 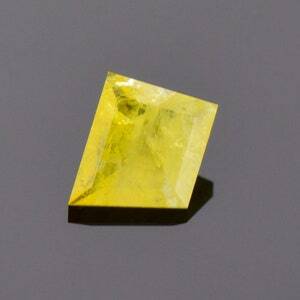 It is not an extremely rare mineral, however, gem quality material is extremely rare. 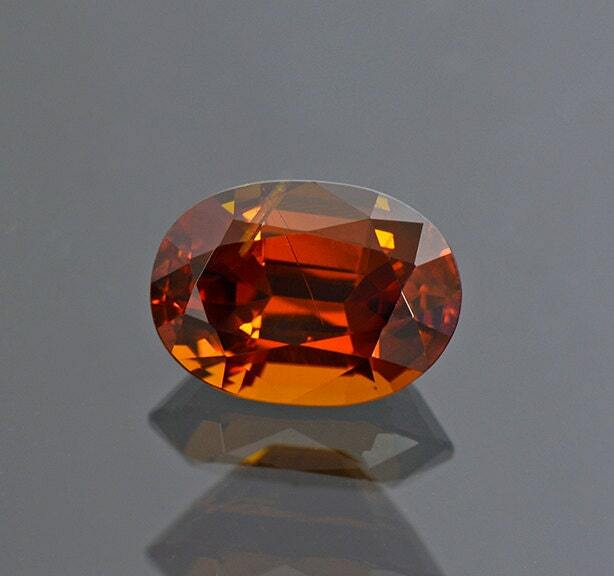 This stone features a lovely burnt orange color, and is very attractive. 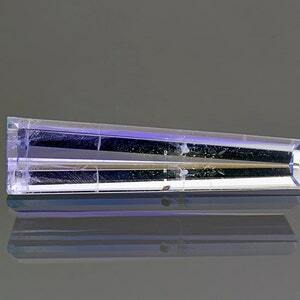 There are 2 inclusions in the gemstone, one is an interesting gas bubble, but right next to it is a well-defined Rutile needle. The bubble inclusion is hidden under the girdle and is difficult to see. The stone faces up brilliantly and is polished excellently. Rare gemstones are exceptional things. To find gem quality material of a stone that there are only a handful of is tremendous. 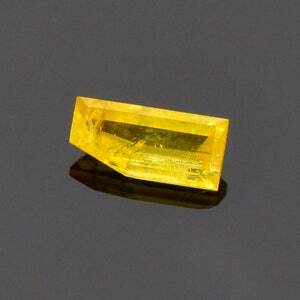 Then to facet gemstones from that rough and give beauty to something that maybe only a few people on the planet get to see is quite special. 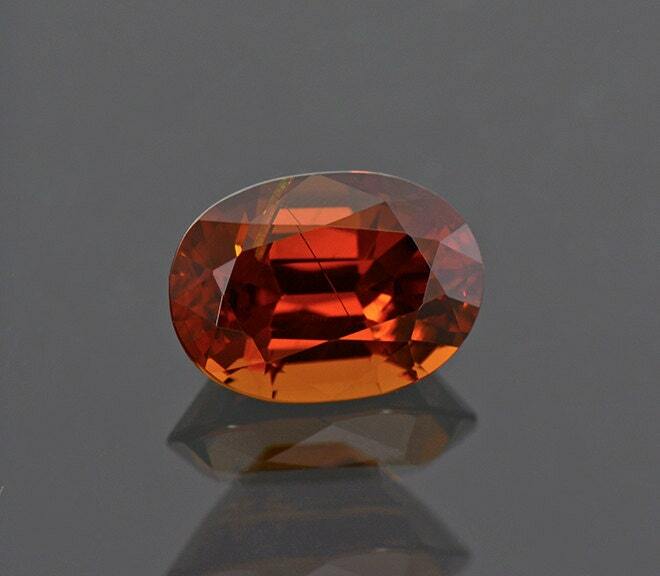 This is really a top quality Bastnasite, so don’t miss out on it!